Giuliano Mazzuoli's Manometro watch in 18k yellow gold. 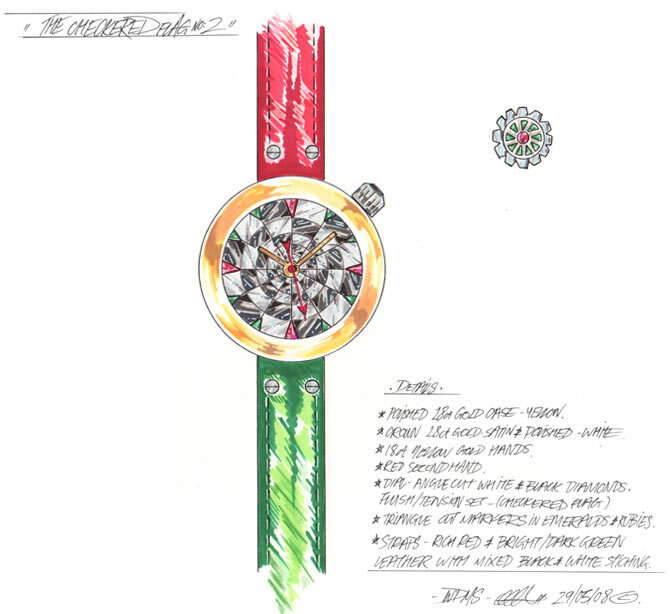 The dial is fully set with specially cut white diamonds and black sapphires with trillion cut ruby and emerald markers. The straps are in green and red leather with black and white stitching. The crown is in 18k white gold set with emeralds and a ruby.